My friends, you have been very patient with me. I haven’t shown you anything Christmas related yet because I’ve been creating and stock piling like crazy behind the scenes. But wait no more! 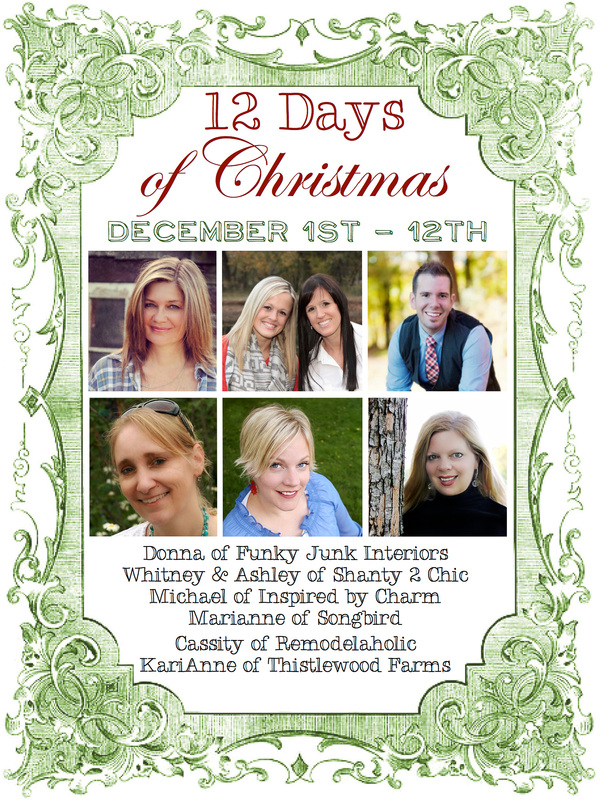 Welcome to 12 Days of Christmas 2013! We are at it again! 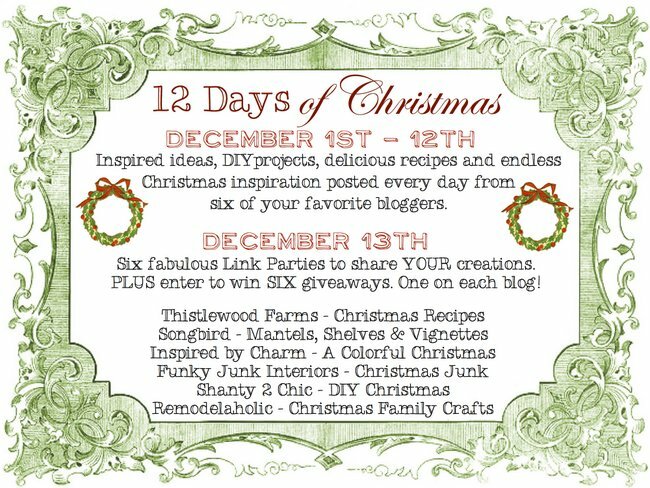 You’re about to step into the festive homes of 8 talented bloggers, where we will show you what Christmas means to us. This is the cool part. Each blogger has a totally different style! And you can check out all Funky Junk’s projects HERE. Allow me to introduce you to the rest! 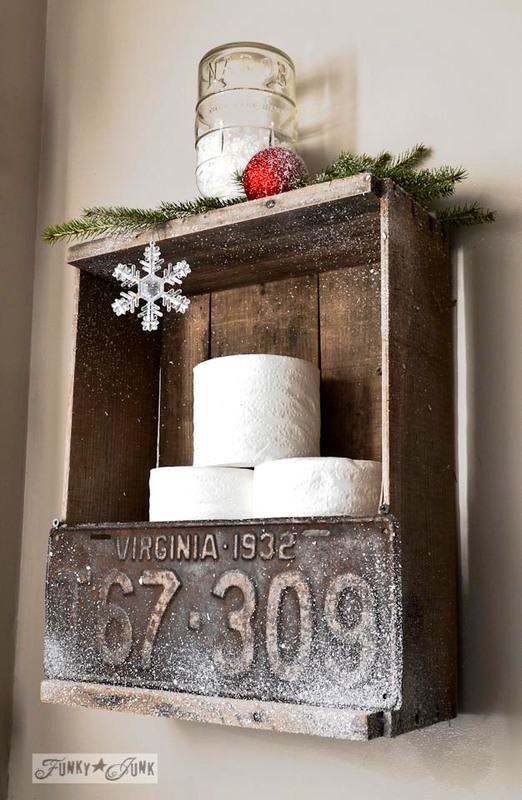 Thistlewood Farms’ KariAnne – light, white and everything bright, KariAnne’s upscale yet easy to do farmhouse style will charm you, as will her attached trademarked stories to every project. You’ll be returning for those stories after these 12 days, guaranteed. 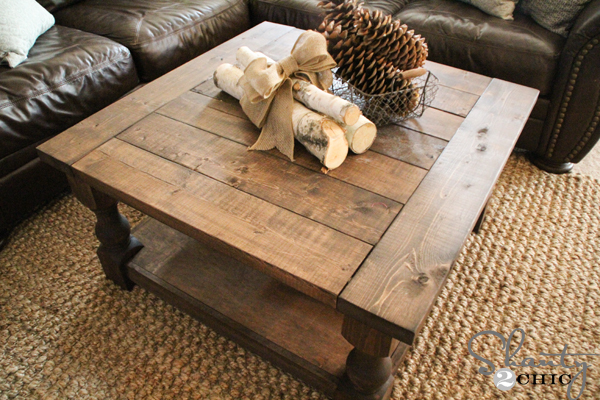 Shanty 2 Chic’s Whitney and Ashley are always building something substantial, beautiful and functional. They blow my mind. They’re also crafting wizards with easy to do, beautiful projects. You wait and see. Inspired by Charm’s Michael mixes old and new with the freshest twist around. Outstanding photography will have you drooling over anything he bakes as well. You’re in for a real treat! 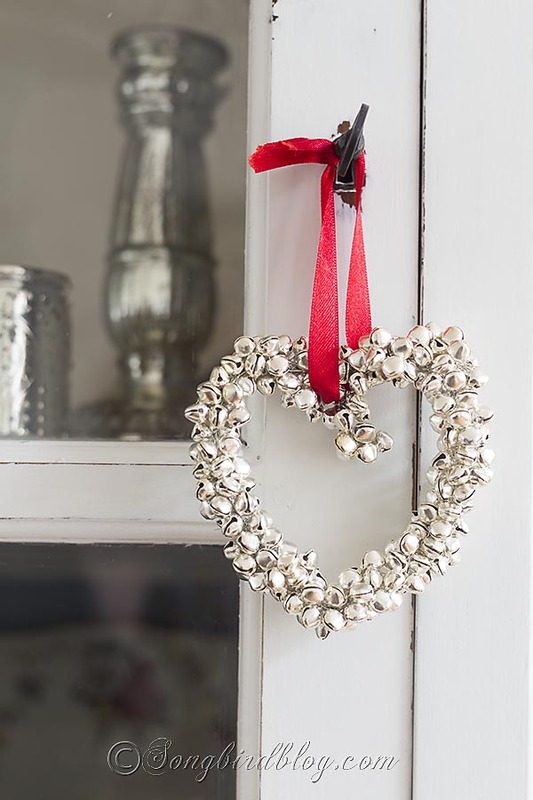 Songbird’s Marianne from the Netherlands and her impeccable take on decorating with white and elements from nature will be sure to enchant you. And having you creating with more white! Remodelaholic’s Cassity is a builder extraordinaire. If she wants something, she just builds it! 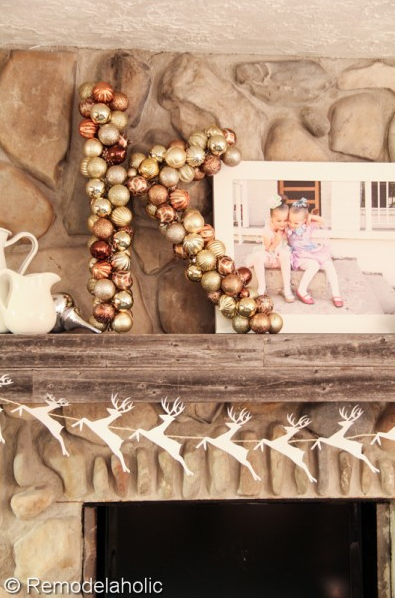 She’s also a genius with her decorating and crafting, such as this garland and monogram on her Christmas mantel. Swoon… cannot wait to see what she comes up with next! So here’s what we all have planned! How’s that for a 13 day party? 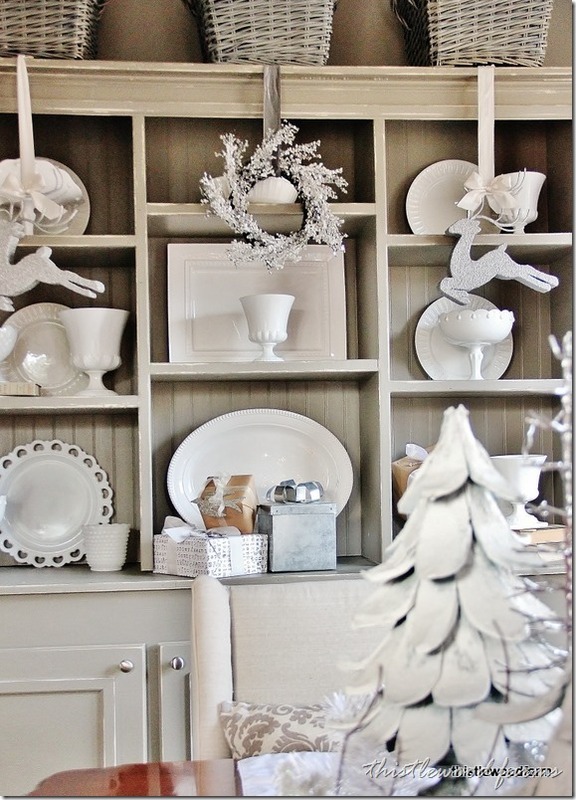 Can’t wait to see all the Christmas stuff. By the way….that voicefive add keeps coming on in the middle and one cannot get it to close, at least I can’t. Just thought you would like to know. It’s a pain! Hi Joani, thanks for letting me know! No issues here so I need a little more info before I can report it… need to know what device/browser you’re running as well as WHICH exact ad it’s popping from. Report to [email protected] and I’ll get it stopped. Thank-you! This looks like a wonderful time! I will be checking in every day. This is going to be great! Looking forward to it. Looking forward to visiting each day! Can’t wait to come along for the ride! Great stuff! 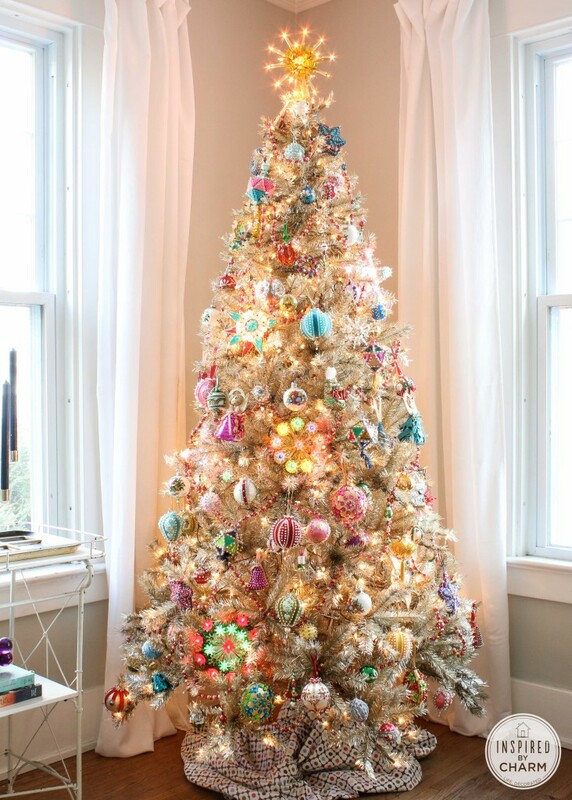 Oh how fab it all is…that pastel tree is fantastic!! I can’t wait to see all the great inspiration..I love your parties. I do want to apologize if I am linked multiple times; every time I would be linking up my computer would go wacky..sorry for any inconvenience.